We’ve just finished audio post production on this fun new comedy drama series for ITV2. The six one hour episodes were made by Touchpaper television here in Wales. 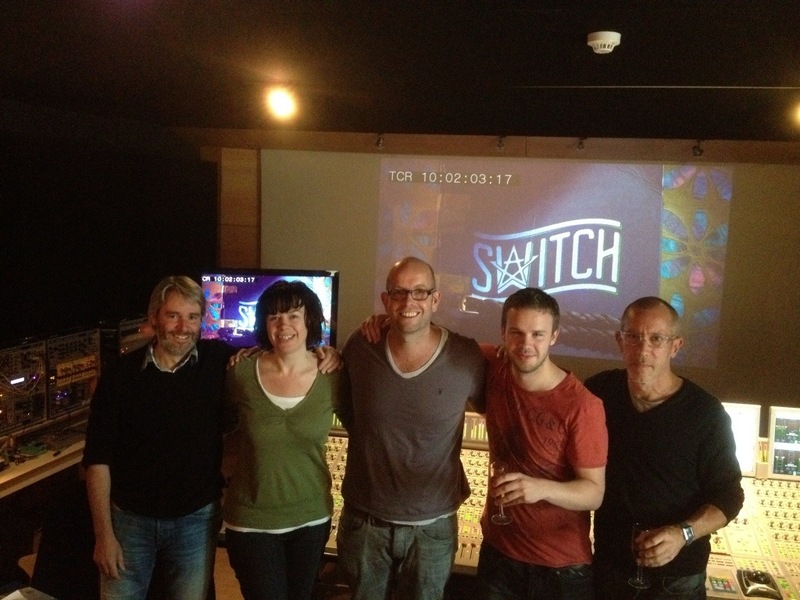 Left to right: Richard Wells – composer, Rachael Lund – post supervisor, Philip Trethowan – producer, Tom Marshall – director, Simon Jones – sound dubbing mixer. 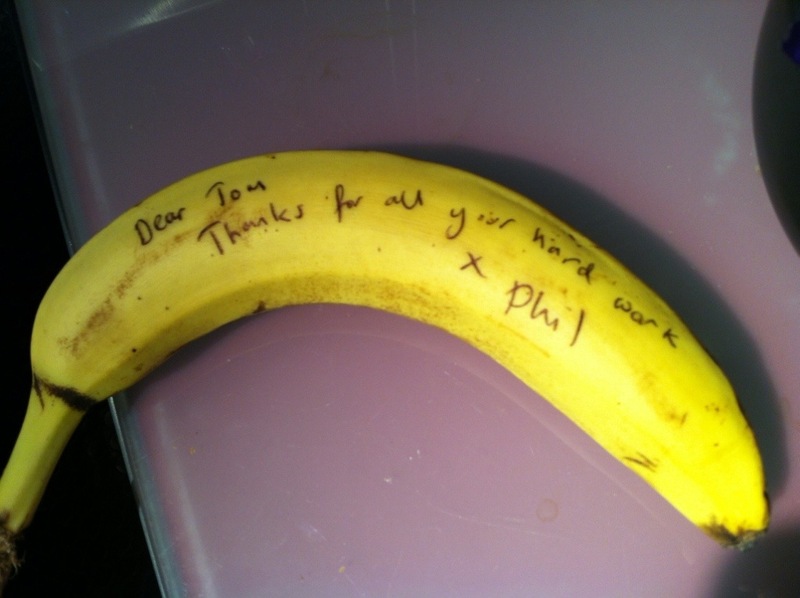 A thoughtful leaving present from producer Phil, to director, Tom. 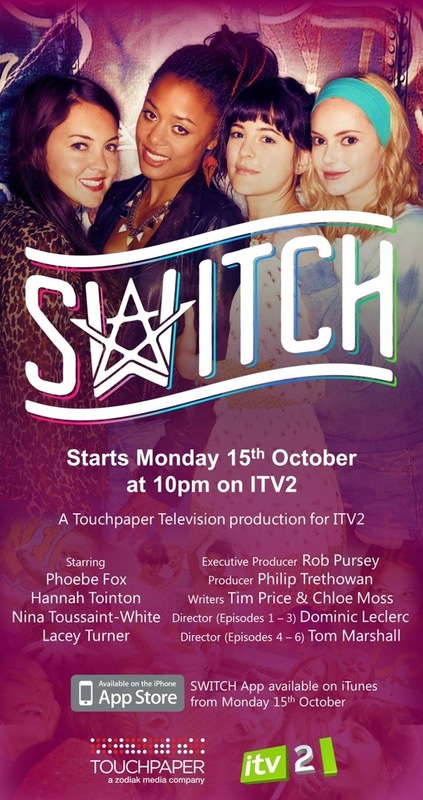 Switch is airing on ITV2 this Monday 15th October 2012 at 10pm. The iPhone app is also available on the App Store from Monday.